Congress presentations & activities - website-layouts Webseite! 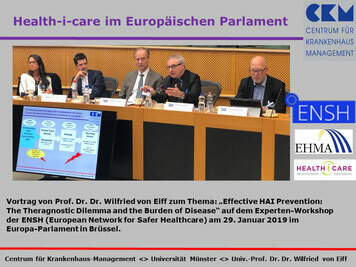 On behalf of the European Health Management Association (EHMA) Prof. Dr. Dr. Wilfried von Eiff (Center for Hospital Management) participated in an expert meeting on "Infection prophylaxis and infection management" at the European Parliament, and gave a lecture on "Effective HAI Prevention - The Theragnostic Dilemma and the Burden of Disease". 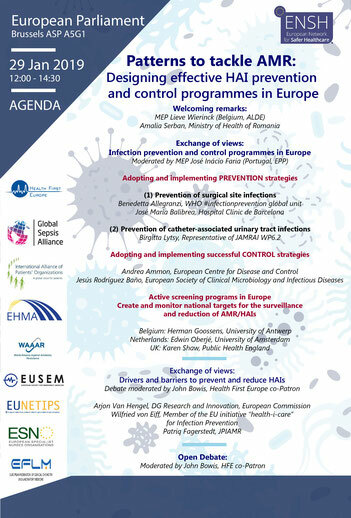 The event was organised by European Network for Safer Healthcare (ENSH), with the aim of bringing together research initiatives from different European countries to exchange experiences, and to discuss the effectiveness of concrete action programmes. Professor von Eiff reported on the goals and work priorities of consortium 12 (Financing of Theragnostic Costs) of the Health-i-Care Initiative and presented the causes of preventable infections in the German health care system, and a plan of measures for effective infection management for discussion. 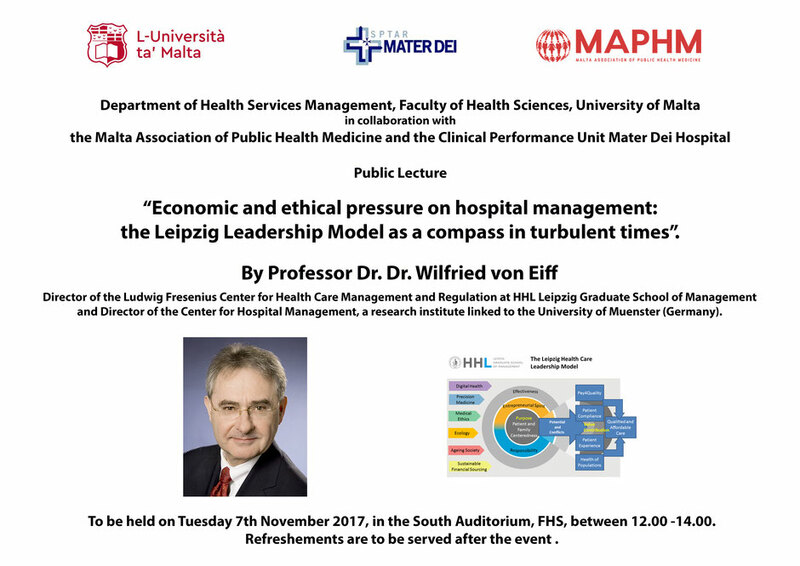 Professor von Eiff called for a cross-sector initiative to improve infection prophylaxis, and justified this with his finding that a screening gap had risen in the outpatient sector due to misguided incentives in the financing system, and incorrect assessment approaches in calculating infection management costs. As a consequence, it can be stated that about 92% of the MRE cases treated annually in hospitals are so-called "brought-in infections". Only about a quarter of the MRSA cases treated in hospitals were covered by pre-stationary screening. It is also noticeable that ca. 23% of nosocomial cases of infection in rehabilitation clinics is significantly higher than in hospitals (ca. 8%). This is a sign of an increasing burden of the disease due to infections in the rehabilitation sector triggered by inadequate screening, and inadequate treatment (eradication) in the upstream care sectors. Professor von Eiff recommends the expansion of the pre-stationary screening, the holistic reimbursement of diagnosis and therapy costs for nosocomial infections ("theragnostic remuneration"), an increase in the number of single rooms, the inclusion of infection management costs in the DRG calculation and the generation of incentives to specify MRE screening in the outpatient sector.